Duncan, Miss. — Rosetta Patton Brown wasn't there when they buried her father, Charley Patton, the first great Delta blues man, in an unmarked grave at the edge of a plantation in Holly Ridge. “We got lost,” she recalled, still surprised 64 years later. It was 1934, and Brown was a teenager when her father died after a gig one night—from a heart condition—at age 43. Her mother and stepfather were driving her to the funeral when they lost their way. By the time they made it to the cemetery, the body was covered up. "I cried so hard," says Brown, now 80 and a widow living among her children and grandchildren in Duncan, a Mississippi Delta town not far from Holly Ridge. She spits a wad of chew into a basket next to her fuzzy-slippered feet. "I wanted to see the body." Brown didn't miss the second service honoring her father. It was in 1991, when a new headstone was placed at his grave in the corner of the old cemetery, between railroad tracks and a cotton gin. Rock star John Fogerty didn't miss it either. Nor did Delta blues legend Pops Staples. 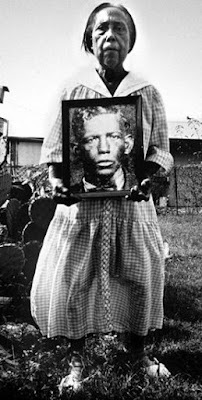 There were cameras and speeches, and a new fancy headstone decorated with a black-and-white photograph of a young Charley Patton. The carved epitaph reads, "The Voice of the Delta: The foremost performer of early Mississippi blues whose songs became the cornerstones of American music." The stone stands out like a Cadillac in a junkyard; the graves around it are marked with names carved crudely into concrete slabs or wooden crosses, and many of them have fallen over or sunk into the soft, black soil. Also at the ceremony was the blues fan who made the new marker possible: Skip Henderson, a former social worker and music store owner from New Jersey who founded the Mount Zion Memorial Fund in 1991 to honor deceased blues musicians from the Mississippi Delta. "It was just going to be Robert Johnson, but there were so many of these blues legends with no headstones," Henderson recalls, explaining how the project got started. He named the fund for the little church in Morgan City where, a few months before the Patton service, he placed the first memorial, which was to Johnson, the blues singer who inspired the Rolling Stones and other rock greats and who claimed he sold his soul to the devil to get his guitar-playing gift. The Mount Zion Fund has erected eight markers and unveiled the ninth March 14 in Hollandale, for Sam Chatmon. 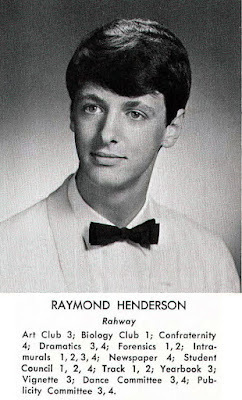 Henderson has at least four others in mind. "It's a well-intentioned project," says Howard Stovall, executive director of the Blues Foundation in Memphis. "It has focused attention on the fact that even though these musicians are well-known, and their music is still popular, their fame is not reflected in their final resting place." Cultural tourism is catching on in the Delta, and the memorials have quickly become a piece of the blues history travelers seek out when they come to this flat, fertile region in northwest Mississippi. The grave markers take their place alongside the blues museum in Clarksdale, the juke joints where modern blues musicians play on weekends and the land itself, the cotton and soybean fields where slaves and, later, sharecroppers, labored and sang the earliest blues. "The come by the busloads," says Marvin Kimber, who works at the cotton gin towering over Patton's memorial. "They come from Texas, Chicago, Canada, all over the world. Sometimes they leave things at his grave, even cash." at the dedication of Sam Chatmon's grave marker in 1998. The fund has also tried to help the churches where the graves are. Henderson first got the idea for the project during his own blues pilgrim-age to the Delta in the late 1980s. He was visiting Mount Zion Missionary Baptist Church, where Robert Johnson was buried in an unmarked grave, when he found out the congregation was in financial trouble. He wondered whether Columbia Records—which was about to release a lucrative boxed set of Johnson's work—might pitch in for a memorial. He was right. Columbia donated more than $15,000 to pay for the memorial and erase the church's debts, and it has continued to fund Henderson's work. On one side of Johnson's obelisk is a tribute to the record company: "Music preserved for the ages by the Columbia Record-ing Co."
"I was really surprised when the money started coming in," says the Rev. James Ratliff, Mount Zion's pastor. "We had enough to pay off the note, put central air in the church and buy new pews." The fund has also raised money for widows and children of blues legends, most of whom have never seen a dime in royalties for their loved one's work. The fund sends Rosetta Patton Brown a little money now and again—$200 or so is the most she's received at one time, she says—and Henderson tries to keep an eye on her, making sure she can afford to keep the lights on in her small house. "Just honoring dead blues musicians would have no resonance at all," Henderson says. "The whole thrust is to preserve these churches and cemeteries, to try to get royalties to the musicians' heirs and to funnel money from the big stars who owe a debt to the blues." For Henderson, 46, the project has combined two passions—music and social work. He was burned out on both when he came up with the idea. After working for a Head Start project and then as a juvenile police officer in Elizabeth, N.J., Henderson quit in 1985, having had his fill of seeing child abuse and "cruelty," he says. He opened a music business in 1985, selling parts for antique guitars. He was successful in this niche business—he bought and restored a Victorian house and he and his wife had four children but it felt hollow. "I had done the whole White liberal thing, and then yuppie thing—all the clichés were in place," Henderson says. The battle in him between the hippie and the yuppie seems to manifest itself in his attire: a rumpled Oxford shirt, a beret, a jeans jacket and a Rolex watch that touches one of the tattoos that run up both his arms. But both his past lives proved valuable when he took a trip to the Delta in the late 1980s and went home determined to do something about what he'd seen. "I had been intimately familiar with urban poverty, but this was dirt floors and no running water," he says. "I was dumbfounded. Nothing had changed—it was the same as what was depicted in the blues songs. The social worker in me kicked in, and I wanted to figure out a way to get some money to the Delta." He's used his connections in the music world to secure donations from stars such as Fogerty and Bonnie Raitt, who have each financed markers. "He's gotten people in the music business to step up and say, 'Hey, we owe it to these guys,"' Stovall says. The lure to attract donors is the blues, but, oddly, the people Henderson wants to help don't have much interest in the music. Their needs are more basic: They need to keep their churches alive, and they need clothes, money, food. Ratliff hadn't even heard of Robert Johnson when Henderson first approached him. What he saw in Henderson was not the blues fan but the humanitarian. "Skip is different from any person I've met," he says. "He's a real sweetheart, helping people regardless of what color they are. He's helped people here with clothes and money—and if it hadn't been for the memorial fund he set up for us, we'd still be paying our debts." Brown remembers her father coming to visit her after her parents' divorce and bringing his guitar and singing to her. But she's not exactly an avid blues fan. "I have some of his tapes," she says. "I like that song 'Pony Blues.'" But she, like many older Black Mississippians, remembers when the blues were considered the devil's music. "My mama was a Christian woman, and she didn't sing the blues," she says. "But she couldn't stop my father. His own mother couldn't stop him." Ratliff will listen to the blues if it comes on the radio, and he even went with Henderson to visit blues singer James "Son" Thomas before he died in 1993. "I figure if you're saved and you listen to the blues, it's not going to unsave you," he says. Although there have been scattered efforts in other states to place memorials at the unmarked graves of blues musicians, there isn't another ongoing project such as this. In 1970, Janis Joplin helped finance a marker for Chattanooga-born blues great Bessie Smith in Philadelphia. 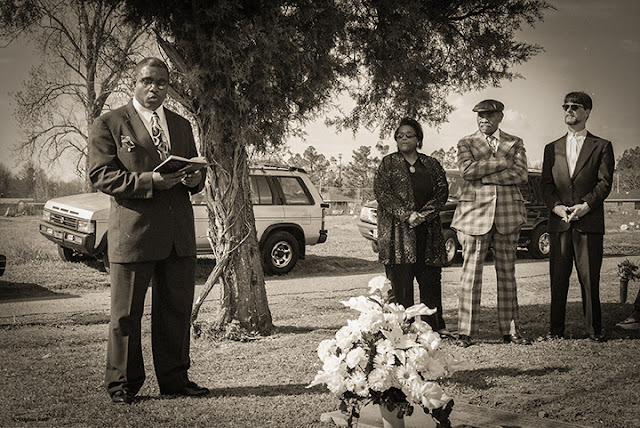 And in Georgia, documentary filmmaker David Fulmer recently used part of the proceeds from a film he made about Blind Willie McTell to finance a new marker for his grave in Thomson. 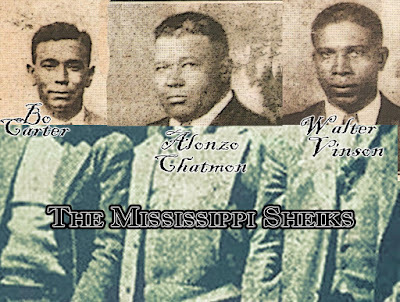 Mississippi simply has more blues singers buried in unmarked graves, blues experts agree. And then there is Henderson's passion to keep the project going. His obsession with the Delta, he says, cost him his marriage and led him to sell his music store in 1995 and move to Mississippi. Anne Rochell, “Marking the Blues,” SCLC: The Southern Christian Leadership Conference National Magazine 27:3 (1998): 90-95.